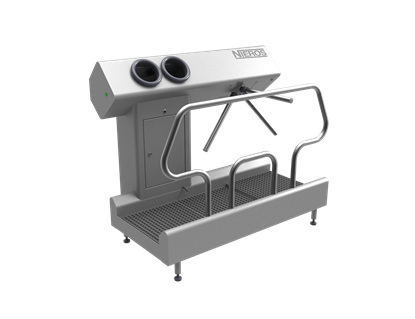 NIEROS® Hygiene Station HC guarantees optimal hygiene level of the personnel when entering and exiting the production area. 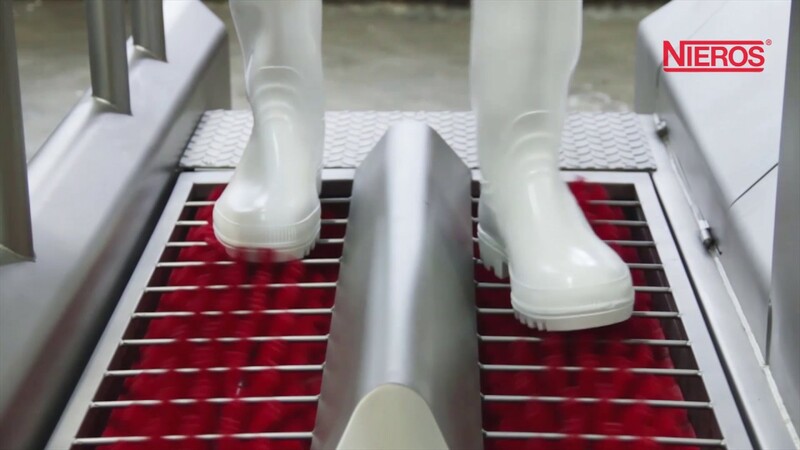 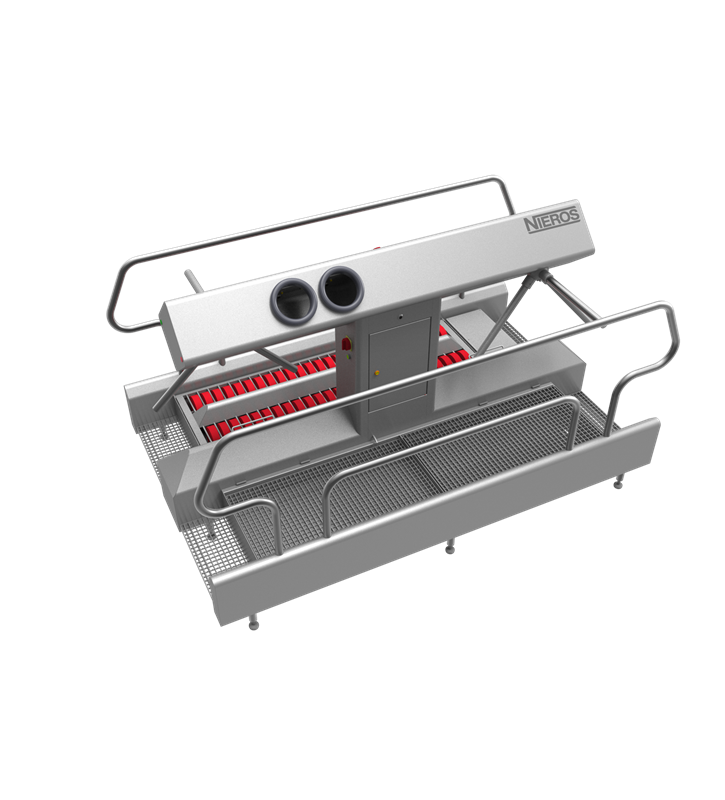 It consists of a dual lane with a turnstile-controlled passage: one with a footwear sanitization basin and a drip-off zone when entering the production area, and the other with footwear cleaning brushes when exiting. 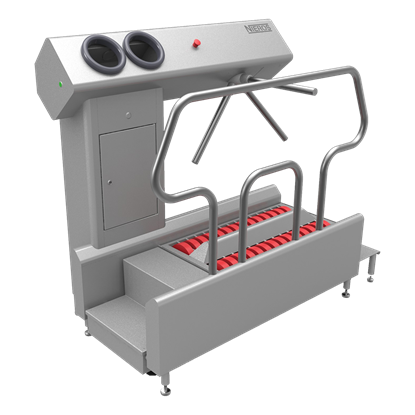 Having two automatic hand disinfection units, it enables quick and easy disinfection. 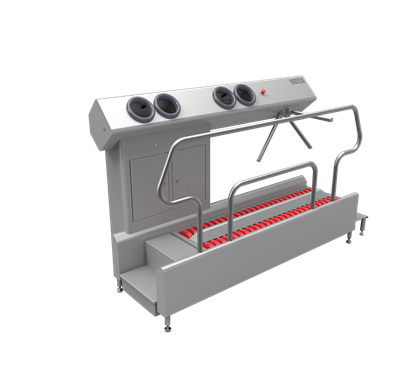 Its high operating capacity allows 10–15 persons to go through the entry point per minute (5 seconds per person).